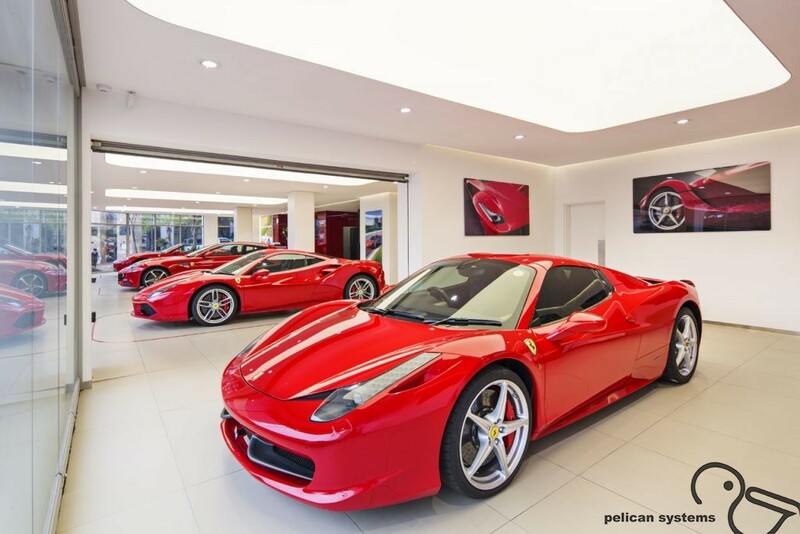 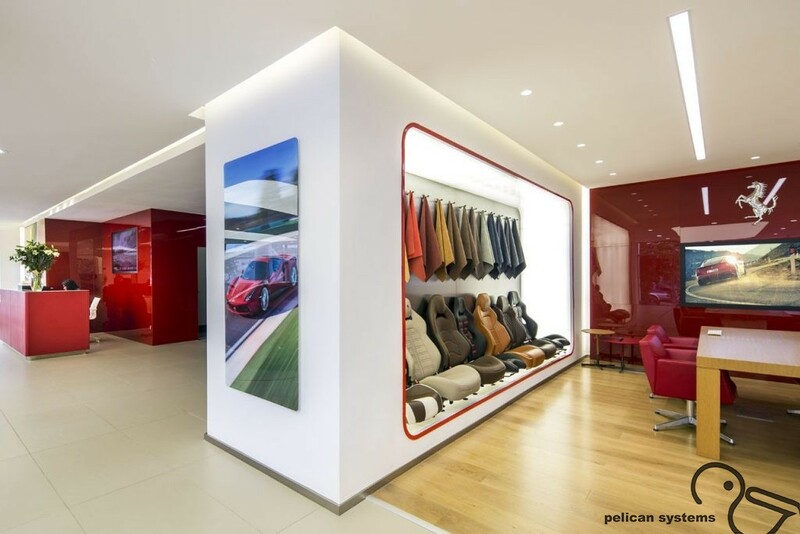 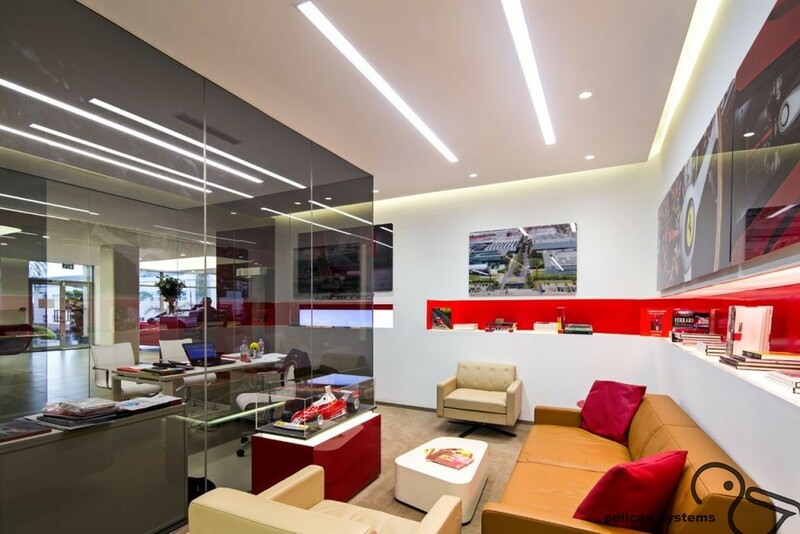 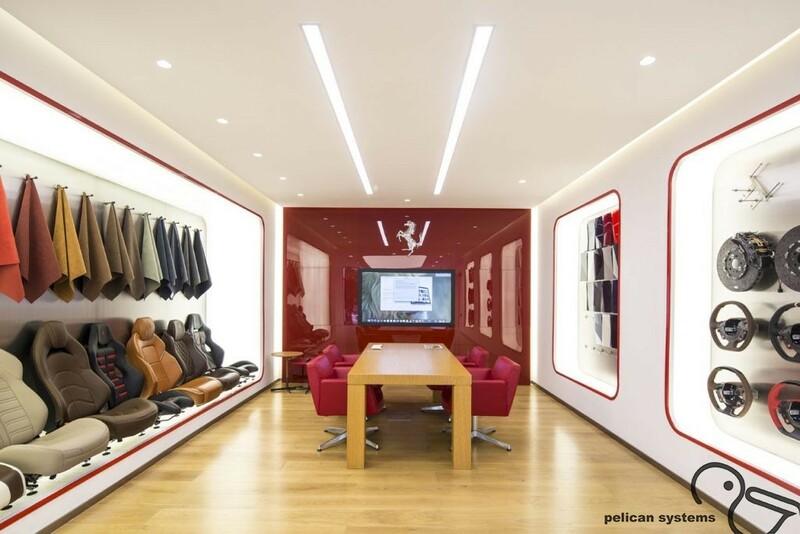 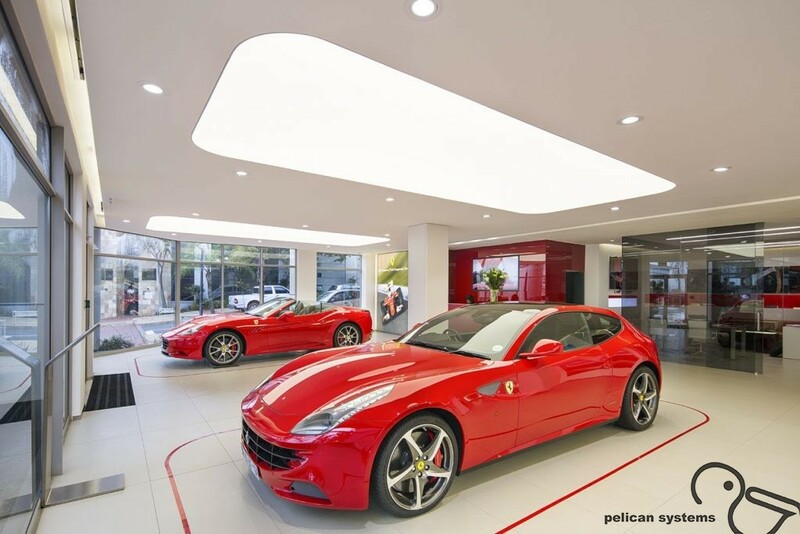 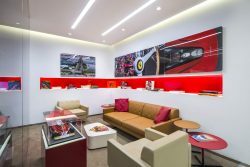 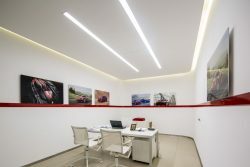 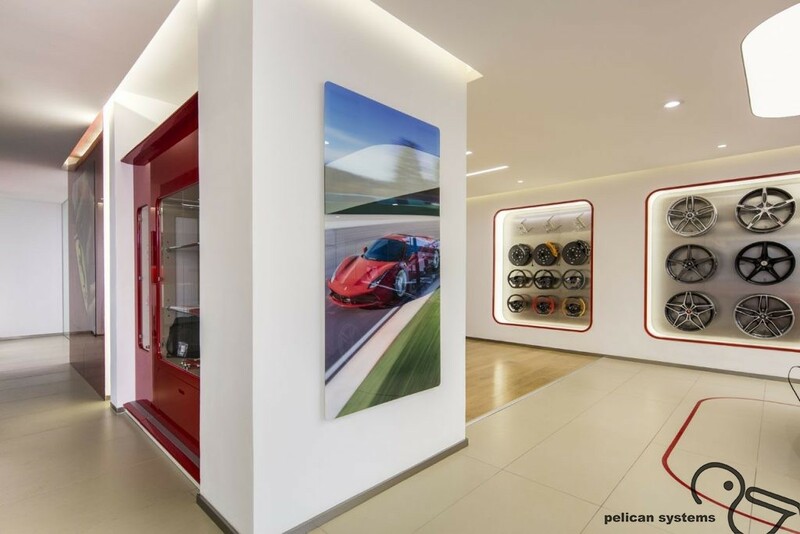 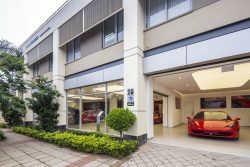 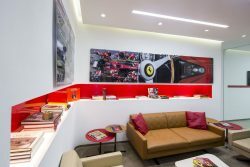 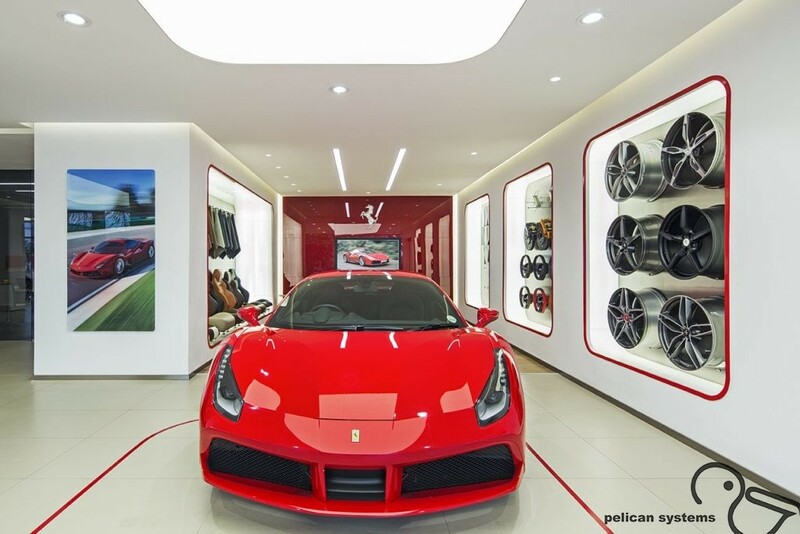 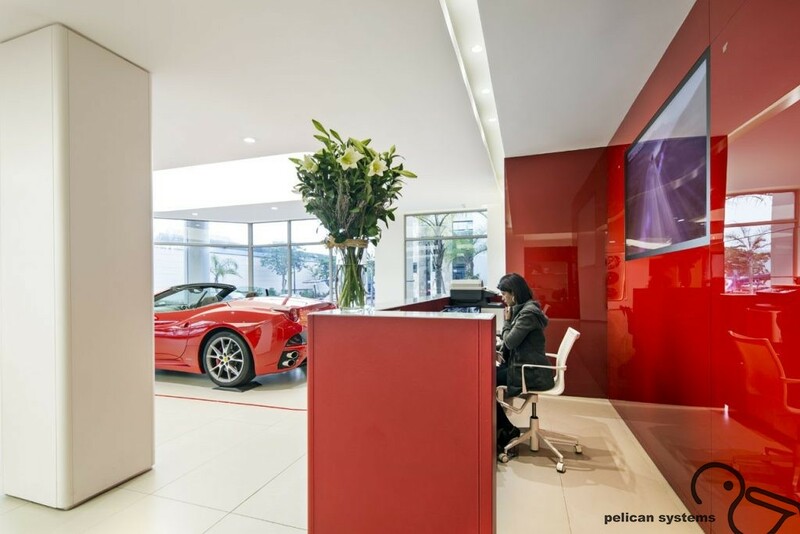 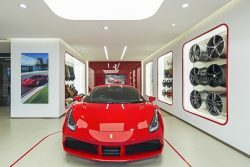 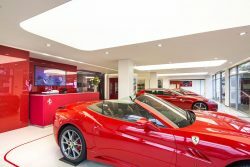 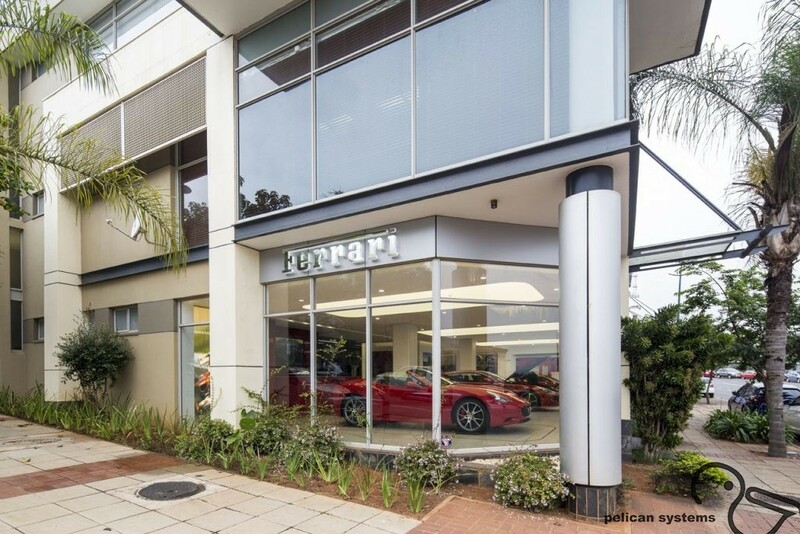 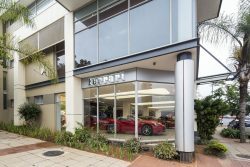 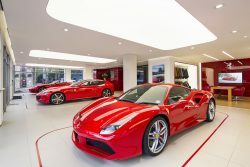 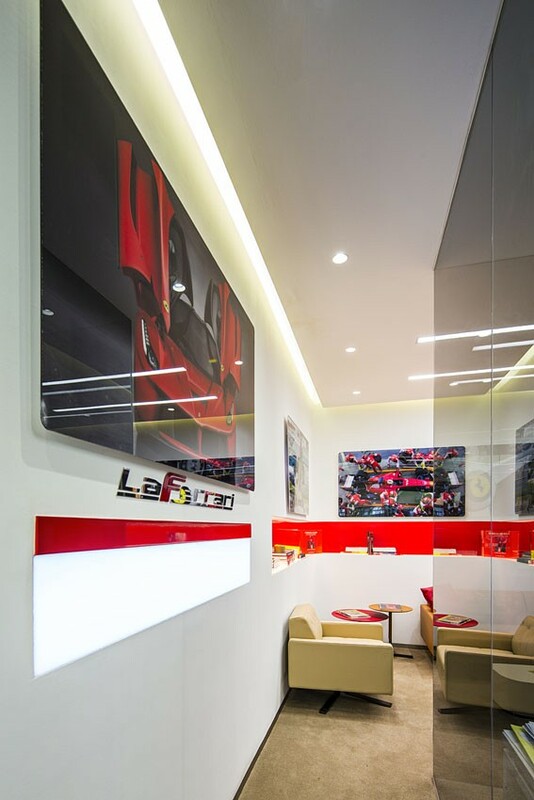 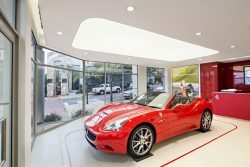 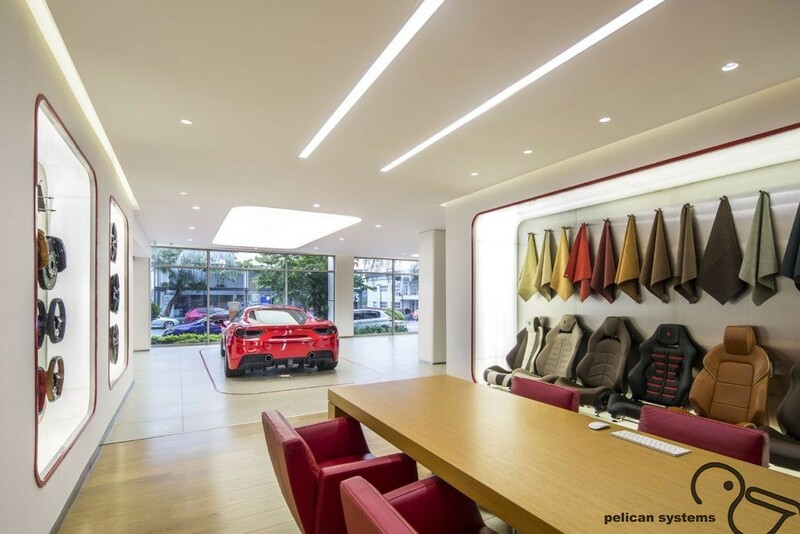 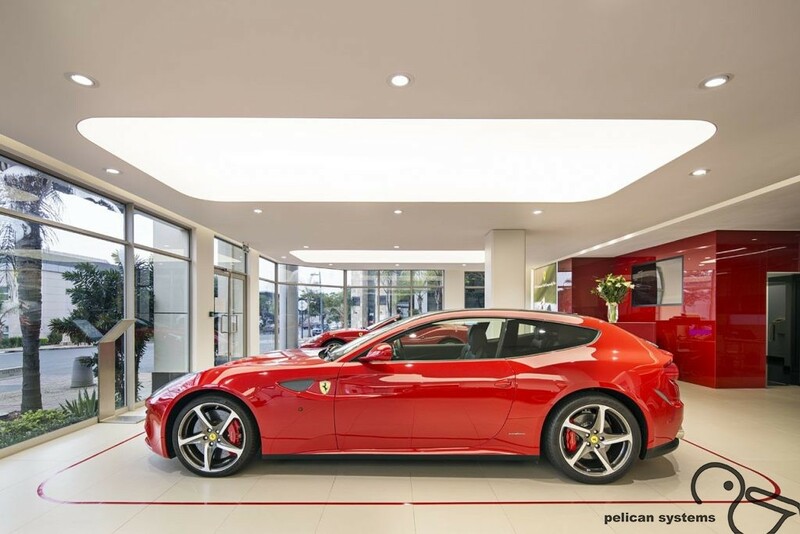 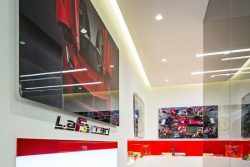 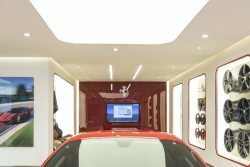 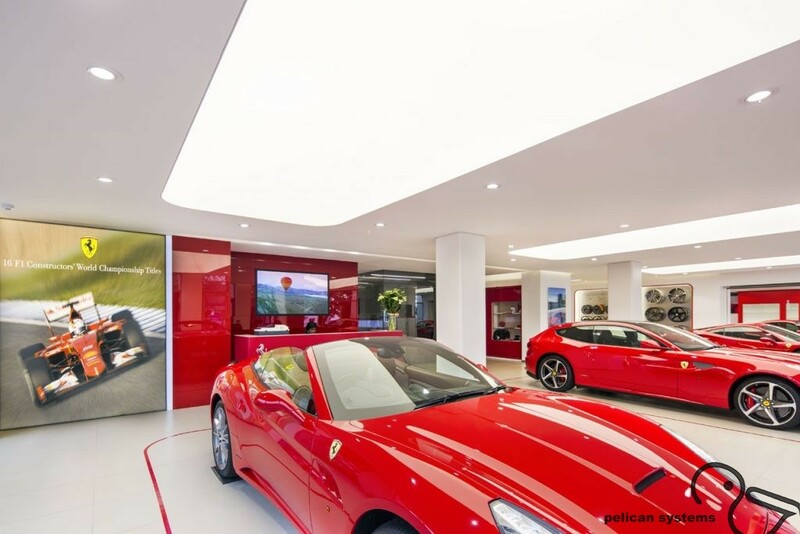 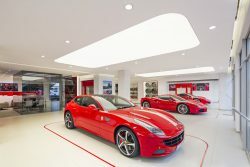 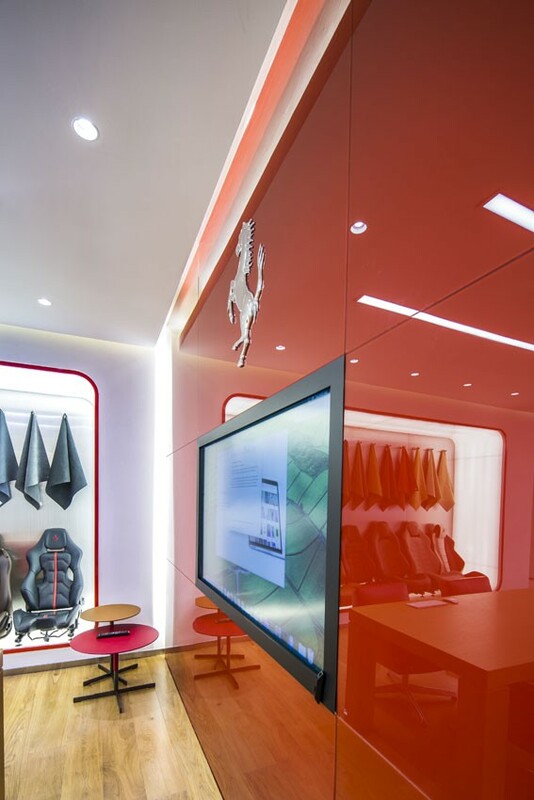 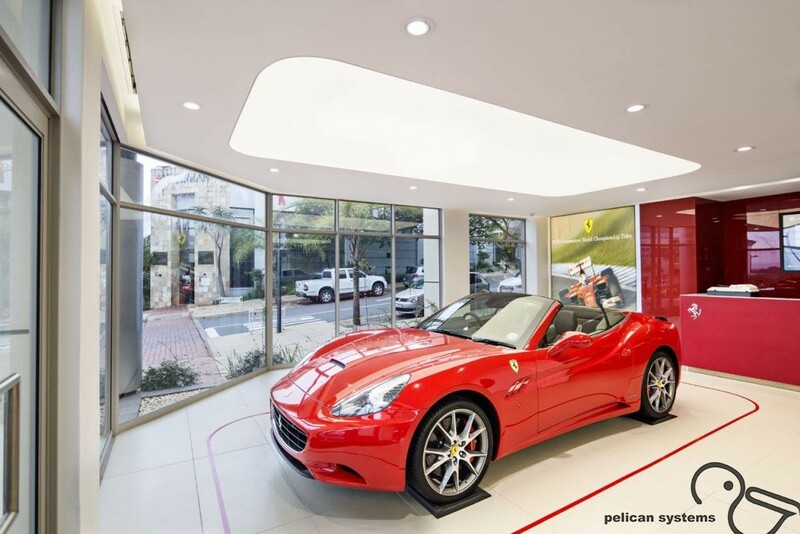 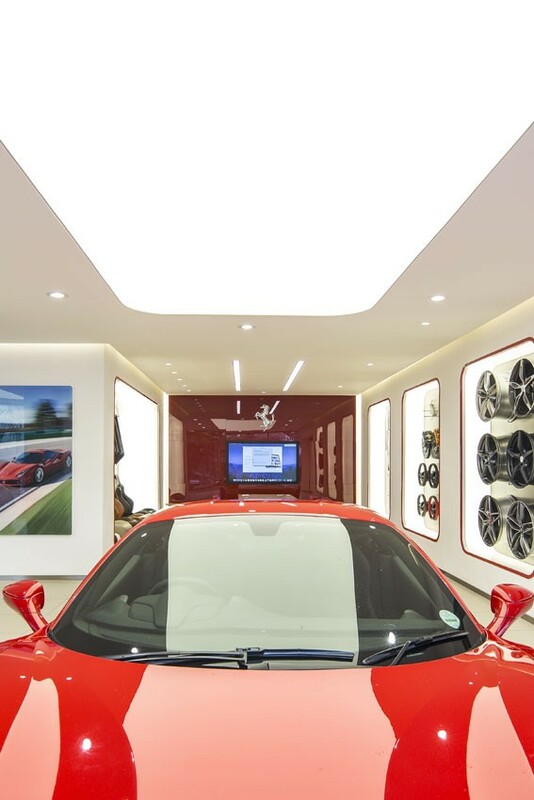 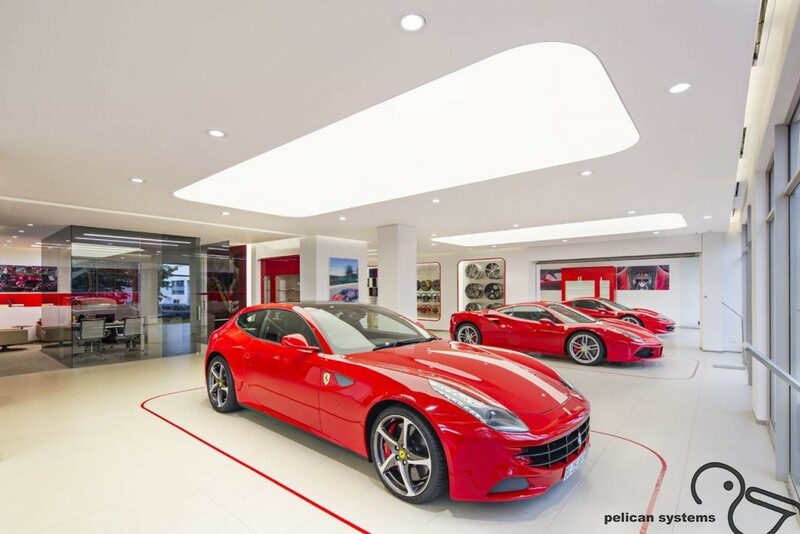 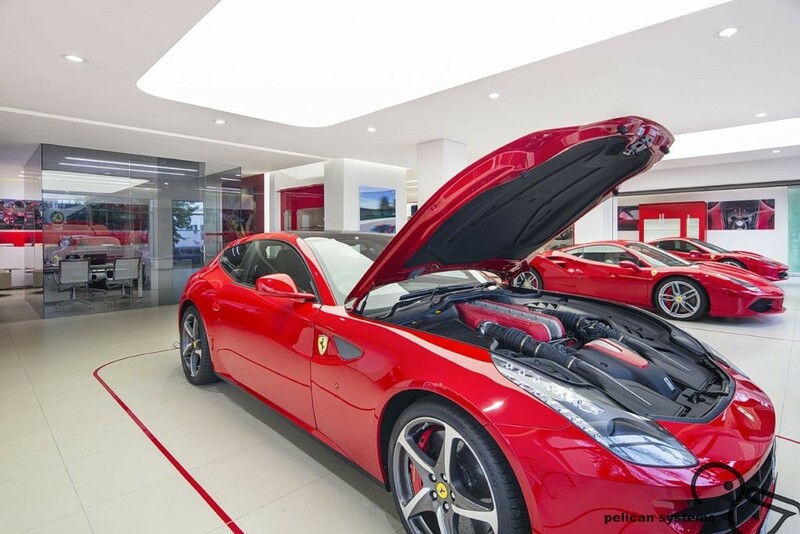 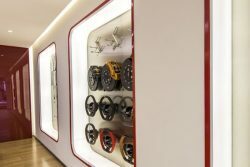 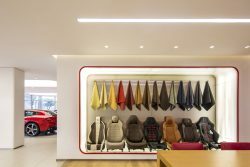 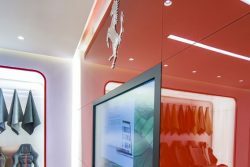 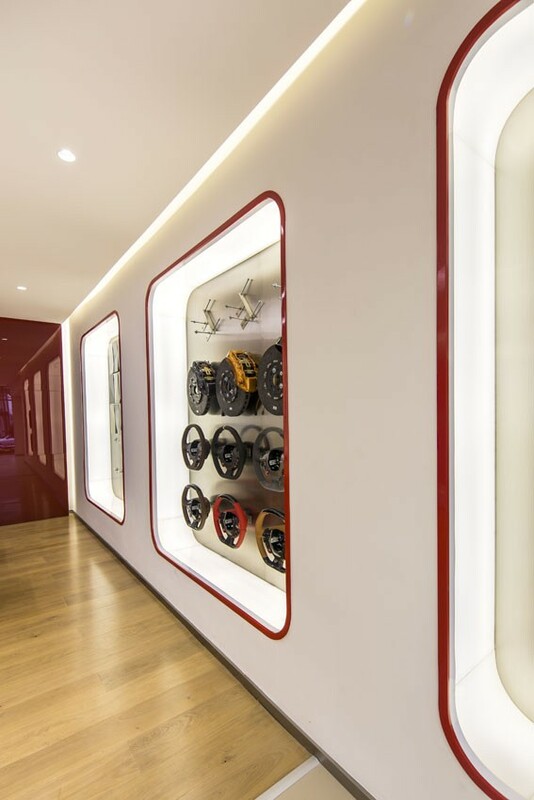 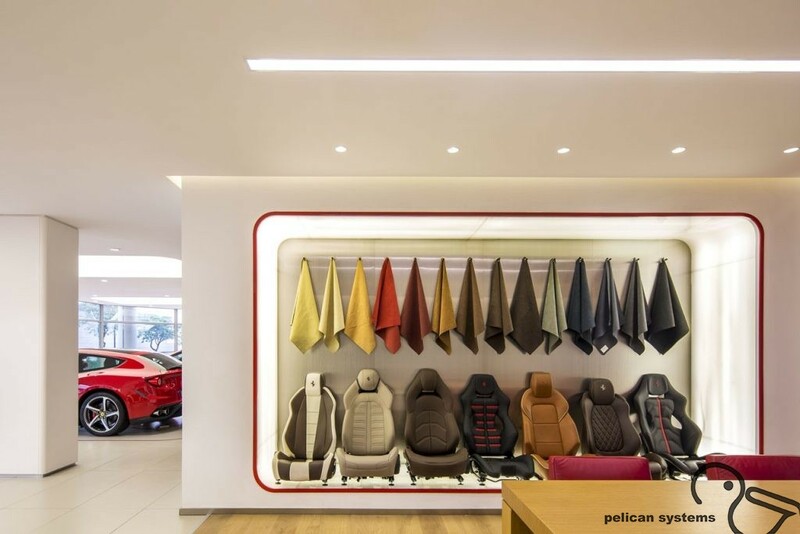 The dramatic Ferrari red is striking against the stylish crisp white ceilings in the new Ferrari dealership in Umhlanga New Town. 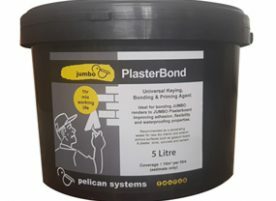 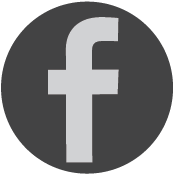 A combination of JUMBO Flush Plastered ceilings and bulkheads was used with PS5 Shadowline Plastertrim profiles and a full skim using JUMBO Skimming Plaster. 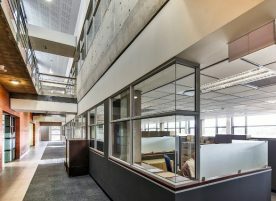 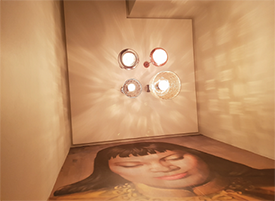 Stretched ceilings were also used to create the dramatic light features in the ceilings.